In the 2000's, pioneering winegrowers Martha & Gary Cunningham began planting Rhone and Bordeaux vines of noble origin on the remote hillsides of the Sawtooth Range north of Boise Idaho. Today, this vast, historic ranch is now home to Idaho's largest family-owned winery, 3 Horse Ranch Vineyards. 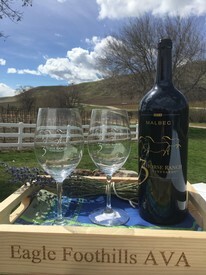 We invite you to experience our remarkable vineyards and wines from America's newest and most fascinating winegrowing frontier, The Eagle Foothills District of the Snake River Valley Appellation in Eagle, Idaho. $50 to $1000 : Accepted Online or Onsite! The Perfect Gift For Purchasing Online/Onsite All 3HRV Current Release & Library Wines, Tasting Room Café & Gift Items. 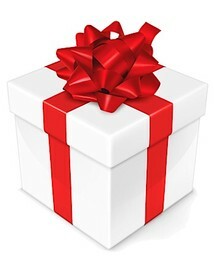 Recipients Receive A Hand-Written 3HRV Gift Certificate With Your Custom Holiday Message! Enjoy this wonderful opportunity to acquire some of the rarest and highest caliber wines in the Northwest! 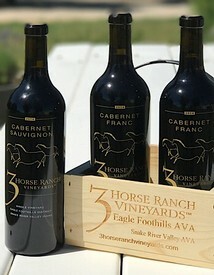 These high-altitude, small-production offerings from the Eagle Foothills AVA will change the way you think about wine! 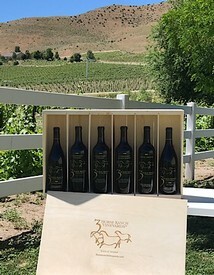 This gift set includes a bottle each of 2014 Cabernet Sauvignon EFH, and two 2014 Cabernet Franc wines from different vineyards within the Eagle Foothills.. An interesting study of terrior, the Cabernet Franc wines were produced with grapes growing 10 miles apart, made with the same clone of Cabernet Franc grape, planted by Gary Cunningham, and then harvested and vinified. Truly an expression of terrior, all bottles signed by our proprietors and presented in a lovely keepsake wooden wine presentation box! The white wine you should be drinking! Our 2016 Viognier is fresh expression of a dry white wine! Matured in steel tanks, Viognier exudes perfumed aromas of peach, tangerine and honeysuckle, complimented on the palate by crisp acidity. Pronounced “Vee-own-yay”, we offer this wine in a 1.5 Liter format for giving and enjoying with friends and family. Our #1 Selling White Wine! Enjoy this wonderful opportunity to acquire some of the rarest and highest caliber wines in the state of Idaho! 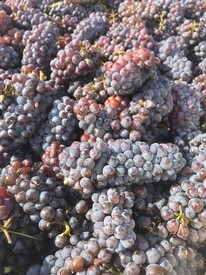 These high-quality, small-production offerings from the Eagle Foothills District of the Snake River Valley will change the way you think about Idaho wine! 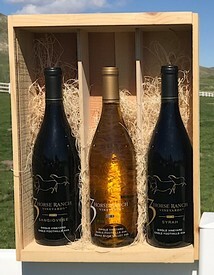 This gift set includes a 2014 Syrah EFH, a 2014 Sangiovese EFH, and a 2017 Viognier/Roussanne EFH, with all bottles signed by our proprietors and presented in a lovely keepsake wooden wine presentation box!